Oops! This uppity hijab mannequin is an embarrassment to 'social justice' warriors everywhere. Elizabeth Short’s heart is in the right place, but her conclusion in her March 27 column is off the mark. The massacre in New Zealand struck a nerve with my community. As a Muslim woman, I was hurt and afraid for my safety and the safety of my loved ones. I am terrified that somebody might attack my mosque next. That is why I am staunchly against stricter gun control as a response to the Christchurch shootings. The motives of white male terrorists are often racist, sexist or otherwise motivated by hatred, which leaves women and minorities highly at risk. We need to be able to defend ourselves at a moment’s notice. Guns are the great equalizer. They transcend physical strength, size, disability and gender lines. Pepper spray, martial arts and whistles can only go so far. According to the National Academies of Sciences, Engineering and Medicine, multiple studies “have found consistently lower injury rates among gun-using crime victims compared with victims who used other self-protective strategies.” I can much more easily and effectively fight for my life with a gun than with anything else. This is exactly what separates the Linwood mosque from the Al Noor mosque. Two mosques were attacked the same day in New Zealand. At the Linwood mosque, a Muslim man reportedly chased the shooter with an empty shotgun (considered a case of defensive gun use, as shots do not have to be fired to prevent attack). Very few people there were killed compared to the fate of the utterly defenseless worshippers at Al Noor mosque. A few unarmed worshippers nobly tried to put up a fight, but failed miserably. Dozens were killed until the murderer left on his own accord. There are hundreds of thousands of justified gun uses for self-defense each year in the United States. For example, take the 2017 First Baptist Church shooting. Much like in Christchurch, an armed neighbor shot the attacker and prevented the murder of dozens more. A gun in the right hands can stop a massacre. If my mosque is attacked, gun control robs me of my ability to defend myself. I follow the law, begrudgingly. Terrorists do not. In a state where I am forced to be unarmed, all I can do is watch helplessly as my brothers and sisters are brutally murdered. Gun control makes us into powerless victims. The Second Amendment empowers us against those who want to harm us. A well-trained, responsible gun owner can immediately save more people than the police. The Second Amendment belongs to all of us. Religious, ethnic and sexual minorities and women can exercise their rights just as much as any white man can. We cannot allow ourselves to disarm the most vulnerable peoples in our country simply because bad people do bad things. Furthermore, the majority of gun-related homicides (including mass shootings) are committed with handguns, not with semi-automatic rifles or “assault rifles,” and there is no evidence that limiting magazine capacity can reduce lethality of shootings. If somebody wants us dead, they will find a way. If not with guns, then with bombs, or knives, or chlorine gas, or arson, or vehicular homicide or whatever. Violent hatred cannot be pacified by the restriction of our rights. We must empower ourselves by any means necessary. It is absolutely correct that victims and their families need better support from communities. We can provide that support without stripping millions of their rights. We do need better gun laws — ones that allow us to protect ourselves and our loved ones, not ones that turn us into sitting ducks. 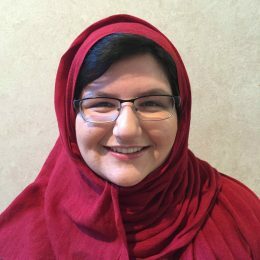 Nadiya Al-Noor is a third-year graduate student studying student affairs administration and public administration.